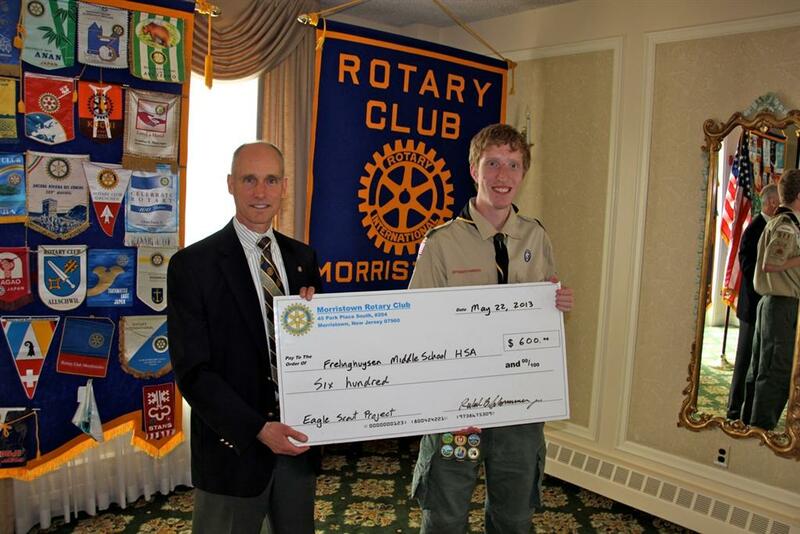 Morristown Rotary Club is pleased to support a local Eagle Scout project for a Morris Township teen. David Coven's Eagle Scout project created a welcoming area at the entrance to Morris School District's Frelinghuysen Middle School. Students, parents and visitors will now see a new sign with benches as they enter the school property. 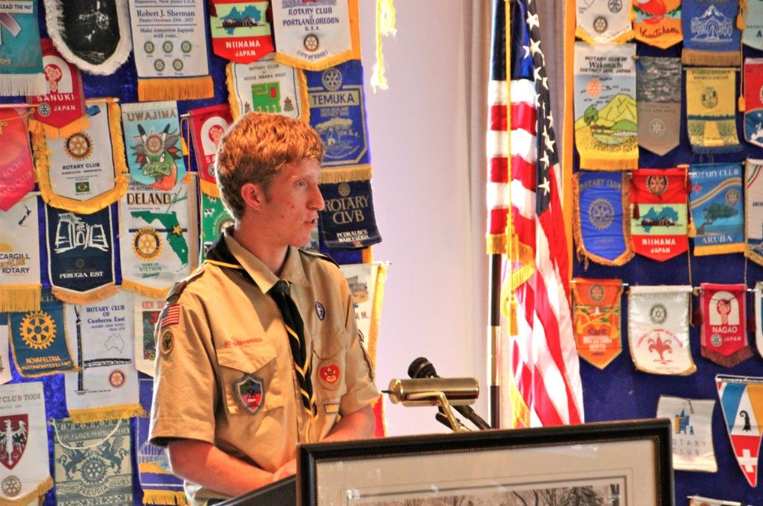 With his parents Hart and Sue Coven in attendance, David accepted a grant award from Club President Rusty Schommer on May 22 at the noon meeting at Springbrook Country Club. 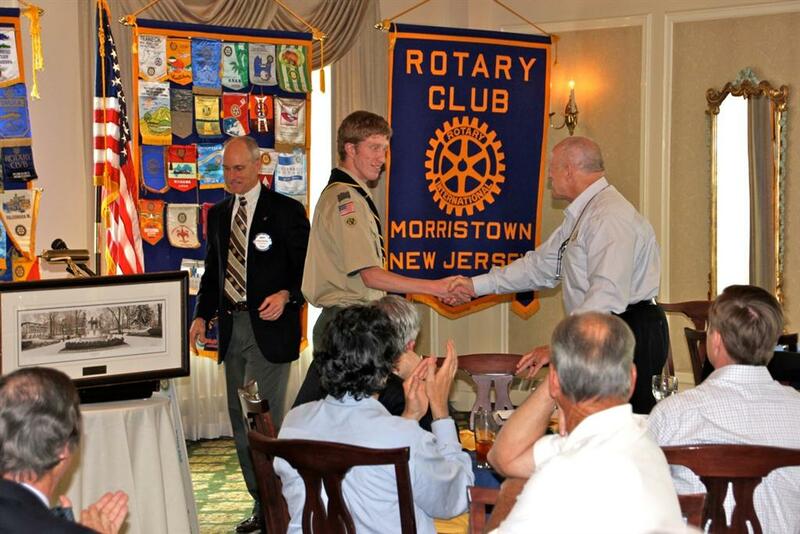 The Patriots Path Council of Boy Scouts of America received a grant from Morristown Rotary Club in support of a startup Cub Scout Pack at in Morristown. The new Pack features a “Scouting in Soccer” program, which combines the traditional Cub Scout program with soccer. 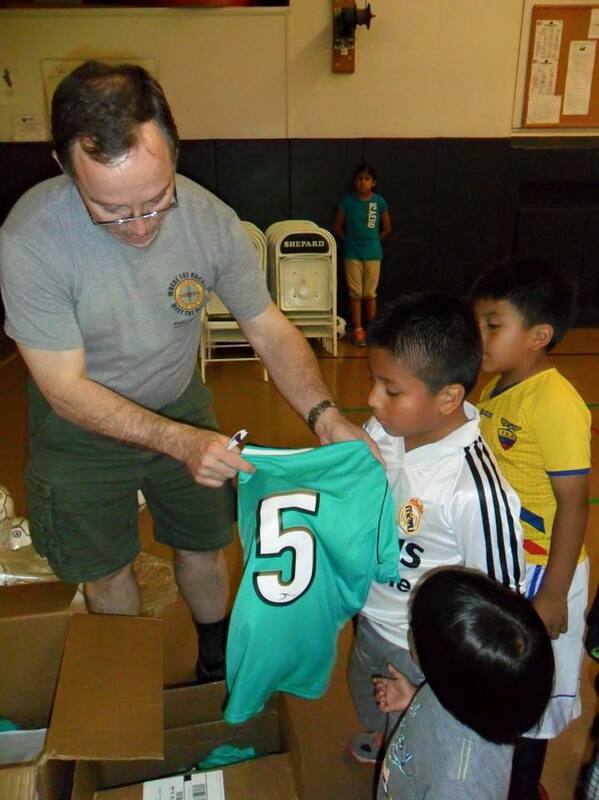 This program teaches all the values of scouting while reaching families from other cultures. 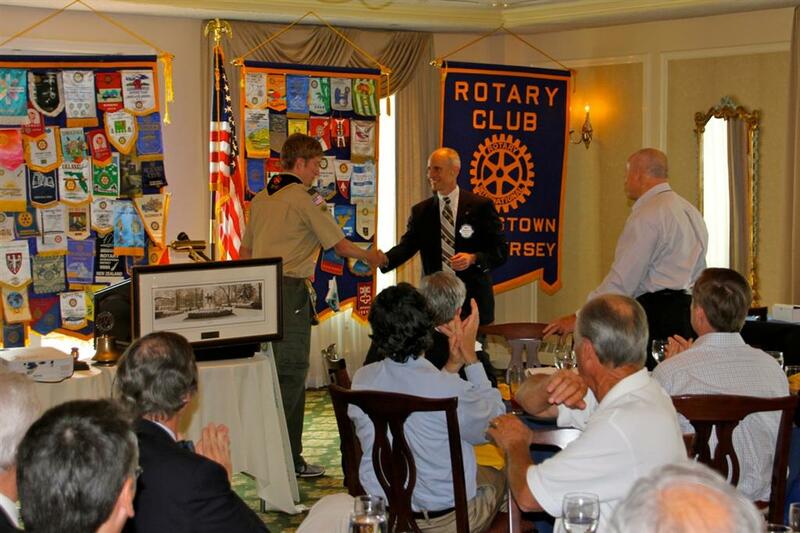 We wish the new Cub Scout Pack continued success.